Just what you've been waiting for! This renovated 4 BD, 2/1 BA stone colonial Cape features neutral dcor, gleaming wood floors, plantation shutters, and a sought-after open floor plan from the Kitchen to the Family Room. Loads of upgrades abound, including all new HVAC, fresh paint, new light fixtures, new wiring, and more. You'll love relaxing this summer on the new rear flagstone patio which opens off the Dining area and overlooks enhanced landscaping. The gracious Living Room has a large picture window, millwork, and a fireplace. White cabinets, Carrara marble counters, stainless appliances, and a large island with breakfast bar seating make the Kitchen a room that chefs will enjoy. The spacious Family Room has a vaulted ceiling with Palladian accent window. The 1st Floor Master Bedroom has closets and en suite access to an updated main floor full BA. Bedroom 2 is also located on the 1st floor, and could also be used for a Nursery, Office, or even a fabulous master closet. A newer Powder Room, more closets, and direct access to the Garage complete the 1st floor. Upstairs are two large Bedrooms, 2 Hall closets, and a full Hall BA. The large unfinished Basement is freshly painted and bright and offers ample space for Laundry, storage, systems, & adding a Rec Room. This wonderful home is located near shopping, train, top public & private schools, and has easy access to Center City, corporate centers, major transportation routes, and the Airport. It is located in the coveted Deepdale neighborhood, which offers organized events which foster a great sense of community. 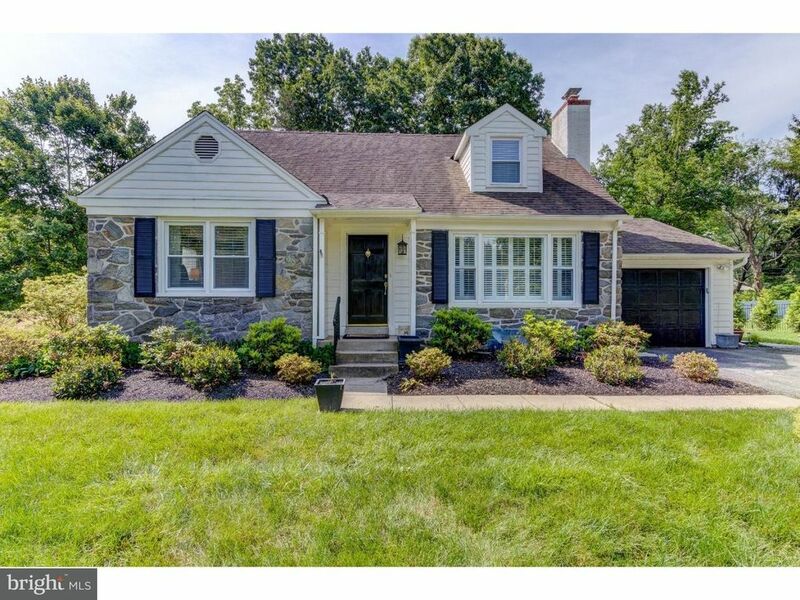 Easy access to Tredyffrin Library, parks, playgrounds, and top-ranked T/E schools. Note that public tax records do not include the Family Room & Kitchen in the sq. ft. and this home is approx. 2, 000 s.f.